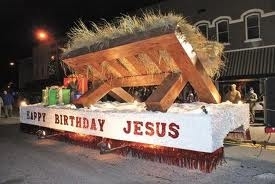 This year's Christmas Parade theme is "Superheroes", celebrating the greatest Superhero of all time, Jesus Christ. The parade is Sunday, November 23rd at 3:00 PM. All participants should meet at the trolley in Mingo Park at 2:00 PM.